UNITED NATIONS, Jan 14 (Reuters) - Tens of thousands of civilians are fleeing the latest outbreak of fighting in Mali that has led to French air strikes against Islamist strongholds in the northern part of the country, the United Nations said on Monday. "An estimated 30,000 people may have been displaced as a direct result of the fighting in Central/Northern Mali," U.N. spokesman Eduardo del Buey told reporters. "It is feared that the number of people affected may be greater as it has been reported that some Islamist groups have prevented people from moving south," he added. Del Buey said the Interior Ministry in neighboring Mauritania had confirmed that thousands of refugees were en route from Mali to the Mauritanian border. No significant numbers of refugees had been observed arriving in Burkina Faso and Niger, he added. "Since March 2012, some 230,000 people have been displaced by the fighting and insecurity in Mali," he said. Northern Mali fell under Islamist control after a March military coup in Bamako triggered a Tuareg-led rebel offensive that seized the north and split the West African nation in two. France, which has poured hundreds of troops into the Malian capital Bamako in recent days, carried out more air raids on Monday in the vast desert area seized last year by an Islamist alliance grouping al Qaeda's north African wing, AQIM, alongside Mali's home-grown MUJWA and Ansar Dine militant groups. France called for a new U.N. Security Council meeting on Monday to update the 15-nation body on developments in Mali. Del Buey said U.N. political affairs chief Jeffrey Feltman would brief the 3:00 p.m. EST (2000 GMT) council meeting on the situation in Mali. 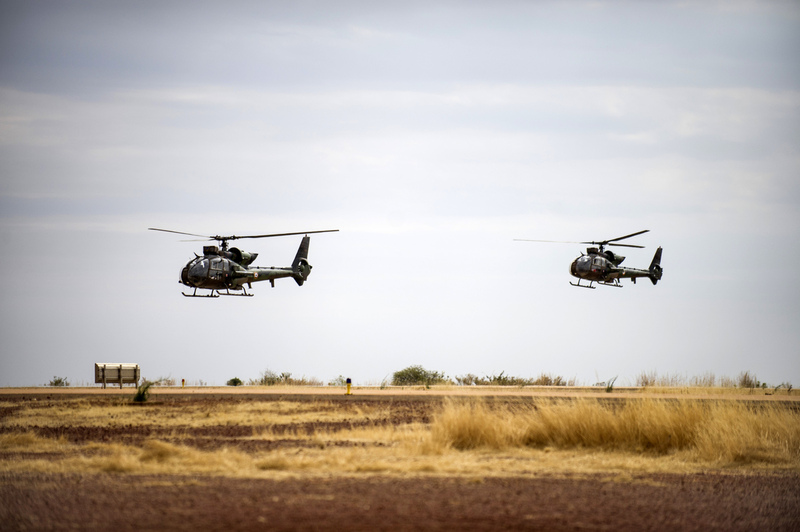 France informed the council on Friday that its military operations in support of the Malian army against Islamist rebels in the north would last as long as needed. It also called for an acceleration of deployment of an African-led force in support of the Malian army, in line with council resolution 2085. The original timetable for the U.N.-authorized AFISMA intervention force of 3,300 West African troops with Western logistical, financial and intelligence backing did not foresee deployment before September, to allow time for full preparation. Resolution 2085 was approved unanimously in December. Although it authorized military intervention in Mali, it set benchmarks for preparations for the operation. But it also authorized U.N. members to provide "coordinated assistance" to help Mali restore authority over the entire country. "Resolution 2085 has been overtaken by events, as you've seen, over the weekend," del Buey said, adding that "the resolution stands."